VacciCheck® Panleukopenia Antibody Titer Kit is a simple and affordable in-clinic titer test designed to monitor serological status and immunization success to prevent over and under vaccination consequences. Measures antibody titer to Panleukopenia, with reliable and accurate results in just 21 minutes! Serology testing is useful after a vaccination to determine antibody levels for Panleukopenia. In this way the veterinarian can modify vaccine programs for individual kittens. 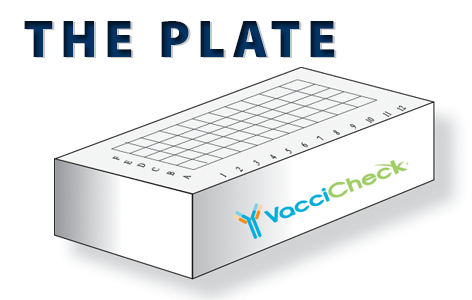 The cut-off values of the VacciCheck kits correlate with the vaccination recommendations of the Cornell University School of Veterinary Medicine. The American Association of Feline Practitioners 2013 report on feline vaccination protocols and how they should be followed in your practice. This Disease Information Fact Sheet accompanies the 2013 AAFP Feline Vaccination Advisory Panel Report published in the Journal of Feline Medicine and Surgery. 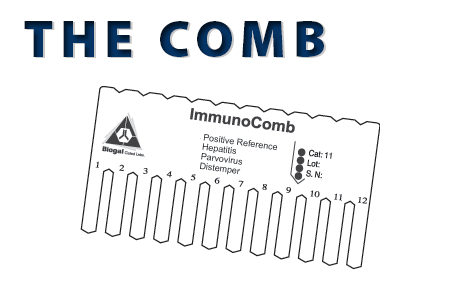 A field trial to assess the performance of the ImmunoComb Feline Panleukopenia Virus Antibody Test Kit was done in comparison to the gold standard Hemagglutination Inhibition (HI) assays.